I feel like all my looks are similar lately. Urban Decay Naked palette on the eyes and a statement lip. I don't see anything wrong with simplicity though. No7 Beautifully Matte Foundation - Calico. HD Brows - Dark Brown (Vamp palette)*. Urban Decay Eyeshadow - Virgin (inner corner/brow highlight), Half Baked (all over lid), Darkhorse (crease). I really liked how the lip crayon has a slight warmth to it so isn't to matchy with my hair. The colour is perfect for spring/summer and it lasts for ages! 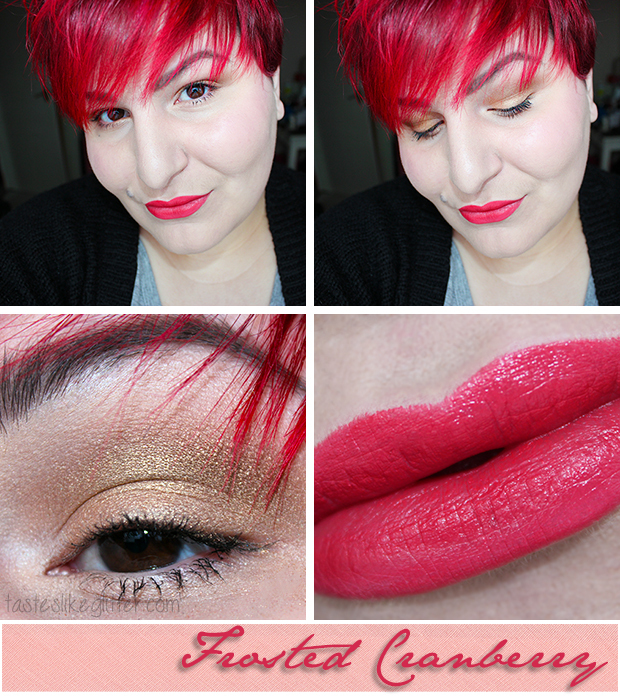 I recently (accidentally) overwrote the template I used to use for my FOTD posts and couldn't get it back. So I downloaded some new ones but when I saved them they looked all weird. A little tweaking in Photoshop and I found something that worked. I've also resized my post photos so you can see the detailing of things better. Plus I'm changing my layout shortly and it'll look a ton better with bigger photos.